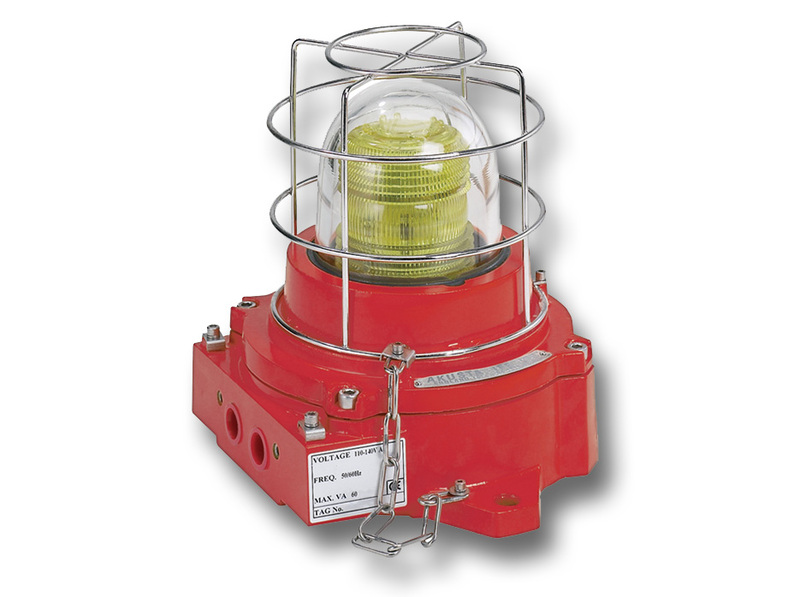 The 2000 Series Models XEN1 and XEN4 Xenon beacons are visual warning lights for use in hazardous locations that require ATEX approval. Model XEN1 is a strobe light that contains a single xenon flashing tube. This makes it ideally suited for use in indoor explosion-proof areas that require compliance to European electrical safety directives. Model XEN4 is a strobe light that utilizes four strobe tubes, timed in a sequential manner, to simulate the operation of a mechanical rotating beacon. This four-strobe version is ideal in outdoor situations where a conventional beacon may not be adequate. The 2000 Series Xenon beacon is sealed from dust and water by a nitrile rubber o-ring seal. All exterior cast aluminum surfaces are finished in powder coat paint and external hardware is manufactured from stainless steel to resist corrosion. The 2000 Series Xenon beacon is externally powered by a DC or AC power source. Screw type terminal blocks are provided for field wiring on all units. All variations of the 2000 Series Xenon beacon feature a four entry fixture to allow cable looping. These cable entries are metric (M20 X 1.5) but other configurations are available upon request.